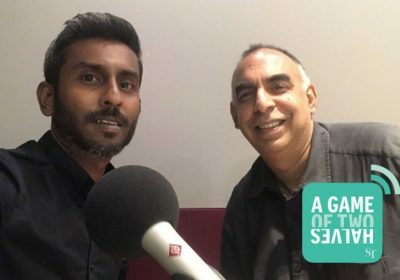 Synopsis: A Game of Two Halves is The Straits Times’ weekly sports podcast that is out every Tuesday on all global podcasting platforms – Spotify, iTunes and Google Podcasts. In this episode, ST Sports’ Shamir Osman and Rohit Brijnath discuss just how important breakthroughs are for young athletes and also for the sporting fraternity they are a part of. This, after badminton player Loh Kean Yew’s win over Chinese superstar Lin Dan, and Ikhsan Fandi’s signing with Norwegian second-tier side Raufoss. In the second half of the show, we look at Andy Murray’s life and career in tennis, and just what it takes to get to the top, like he did. In a special extra-time segment, we chat with Sazali Abdul Aziz who watched Manchester United beat Tottenham Hotspur 1-0, from the stands of the Wembley Stadium.